First of all, a friend sent me the link to this interesting article about memoirs in Harper’s by Francine Prose titled “Books and Circuses: The politics of literary scapegoating.” Prose is author of many books of fiction, and the New York Times bestselling nonfiction book, Reading Like a Writer, which I enjoyed and found very helpful. The article is rather lengthy, especially since she intersperses her political views throughout the piece, which is otherwise mainly about memoir as a genre in general, and a few well-known examples in particular. She talks about the levels on which readers read memoirs, and this part was especially interesting to me, as I continue to write my own truths, hoping that some day readers will read my words in a way that is, as Prose says, “not only extra-literary, but personal.” Here are two teaser paragraphs—if you want to read the rest of the article, click here. The next level on which memoirs can be read involves our sense that a writer is telling the world something we might not confide to our best friend. This sort of reading experience is provided by the increasingly crowded subgenre of autobiographies that portray the outrageous exploits of parents who have remained, in the writer’s memory, larger than life, just as they would have seemed to a child. Some of the most popular recent memoirs—Augusten Burroughs’s Running with Scissors, Jeannette Walls’s The Glass Castle—fall into this group. The writer’s courage or boldness in making the private public may be part of the reason why so many first-person accounts (Elizabeth Gilbert’s Eat, Pray, Love is yet another example) may fulfill a self-help function, and why thousands of readers find their encounters with these intimate narratives to be less voyeuristic than therapeutic. The traumas of the reader’s own dysfunctional childhood or painful divorce seem suddenly less taboo, less isolating, less fraught. Hidden secrets may come spilling out in the supportive context of the book group—a less expensive alternative to psychotherapy—and the reader may feel heartened and encouraged by the fact that the writer (such as Margaret B. Jones) has not only survived but triumphed. 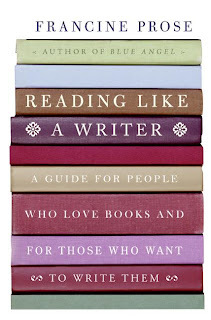 To read in this way is to enter into a relationship with a book and a writer that is not only extra-literary but personal, a phenomenon that may be partly responsible for the orgies of recrimination that have followed the exposure of memoirists with faulty recall or vivid imaginations. It’s less as if a writer has lied or exaggerated than as if one’s therapist has been found guilty of practicing with false credentials. 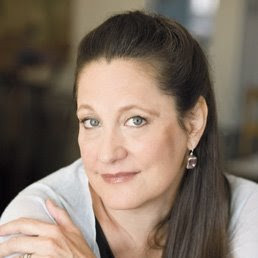 My friends over at the Creative Nonfiction Foundation would agree with Prose about the importance of not writing memoir with “faulty recall or vivid imaginations.” If you want to make stuff up, write fiction. Which is what novelist Jayne Anne Phillips has been doing quite well for some time. She’s also teaching at the Rutgers-Newark Master of Fine Arts Creative Writing program, which she launched two years ago and directs. Her recent novel, Lark and Termite, just came out in January. 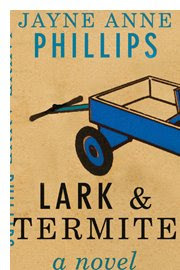 Phillips is a fan of William Faulkner, and says, of one of the main characters in her latest novel, “Readers may compare Termite to Benjy. In fact, Termite is Benjy’s elemental opposite….” I’m hooked—can’t wait to read it. When I was a freshman at Ole Miss in 1969-70, I did a paper on The Sound and the Fury. I don’t think I understood much that Faulkner was trying to say in that strange work of fiction, and I remember making up lots of stuff in my paper, but hopefully Phillips’ novel will be an easier read. I’ll let you know! Artists have never been respected in America; it’s just not an American tradition. Communal art, crafts, yes, but individual artists, working essentially alone, are outsiders, they’re crazy fools, they’re not doing real work, they’re suspect, they’re feared. . . . It’s wonderful! 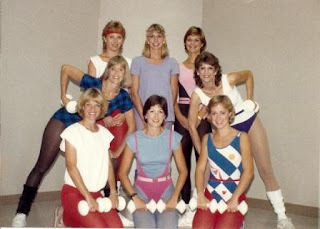 Okay, back to work on Chapter 10, “Spandex and Leg Warmers.” Hmmmm…. This is going to make me want to go work out. In case you can’t tell, I’m the one in black tights with a dark blue and black leotard. It was 1985, and yeah, even at 115 pounds I thought I needed to wear black….